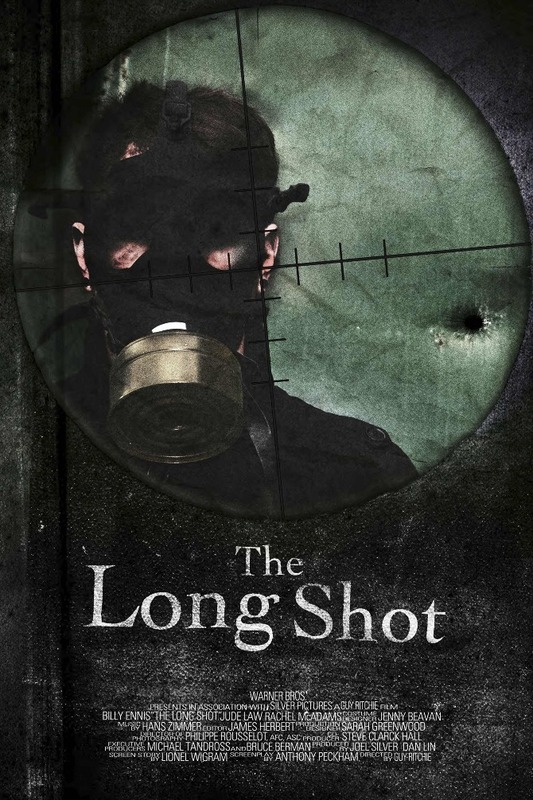 This is a fictional promotional piece for the war film, The Long Shot. It was created to exemplify digital manipulation skills, the phrase “the long shot,” and reiterate the summary, while keeping the overall tone of the movie. The summary is, a city in the future is suddenly taken over by “people” from the major war going on at the time. The main character, a man who does not want to be a part of the war but was drafted in, becomes the top marksmen. Throughout his duties he comes to realize that these “people” are altered humans to have machine like qualities. The main character is then put into a position where he might not survive if he doesn’t make the long shot. All work represented on this site has been created by Ashley Kane, unless otherwise specified.